Yes, We are on a secure server! Check out our selection of Broadcast Hall of Fame Audio Tributes from Pat Hughes' Baseball Voices series! 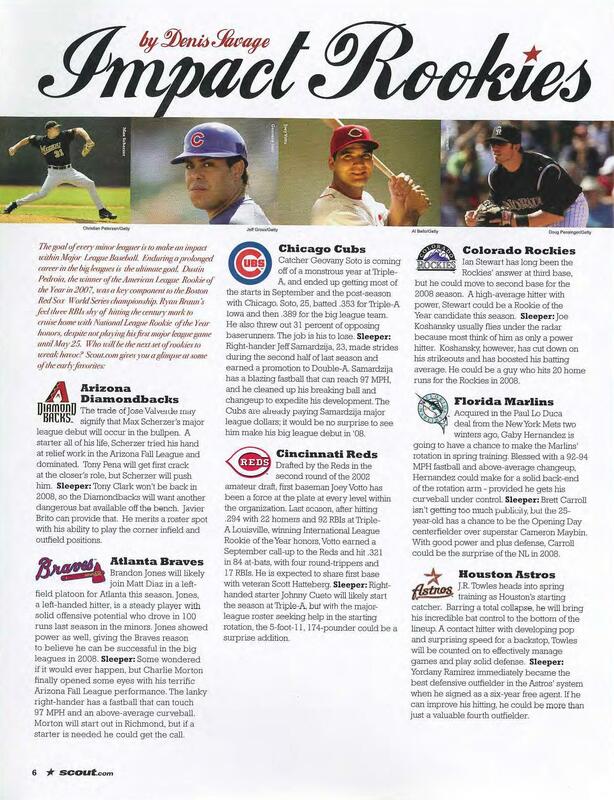 This magazine covers all 30 organizations, ranking 20 prospects per team and totaling over 600 prospects covered. 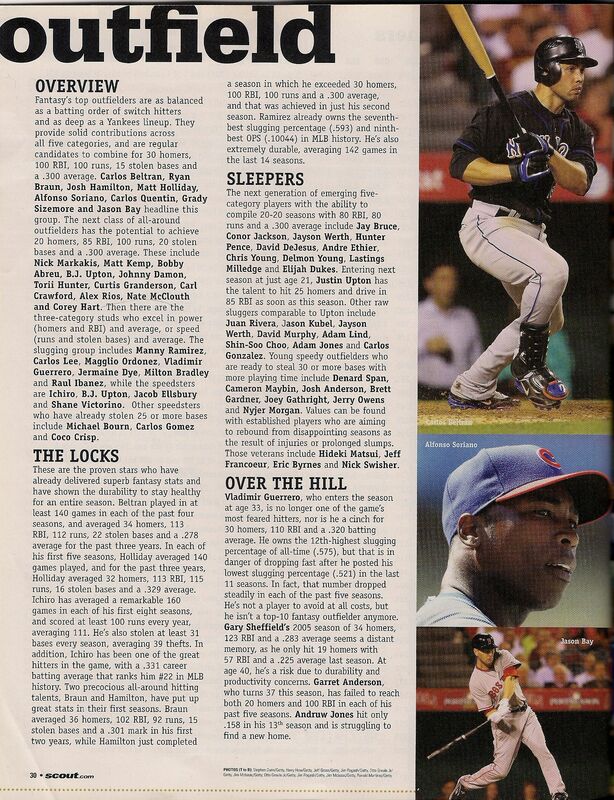 It also gives strategy and rankings for fantasy baseball. For more info, click here. 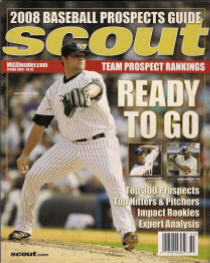 This magazine covers all 30 organizations, ranking 20 prospects per team and totaling over 600 prospects covered. For more info, click here. 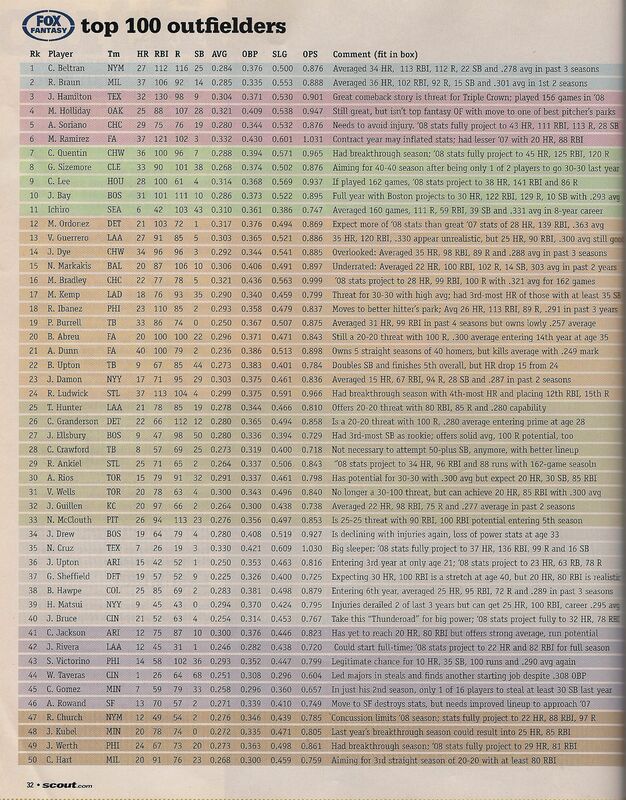 This all-in-one stat book provides career statistics for every player who played in the majors in 2006, including minor league statistics for younger players. The Bill James Handbook also provides 2006 player splits, park factors, team stats, component ERA, team efficiency, player projections, injury projetions, and much more more. Baseball Info Solutions has supplied incredibly in-depth data for this book. The top ten players at each position in the Fielding Bible's +/- system head up the defensive statistics, along with CERA and CS% for catchers. James also revamped his Baserunning Analysis into a plus/minus system that takes into account six baserunning categories: How often they go from first to third, second to home, and first to home (on a 2B), baserunning outs, bases taken, and how often they score per time on base. In a new Manufactured Runs Analysis, James shows which teams use small ball to score runs and which ones play station-to-station baseball. 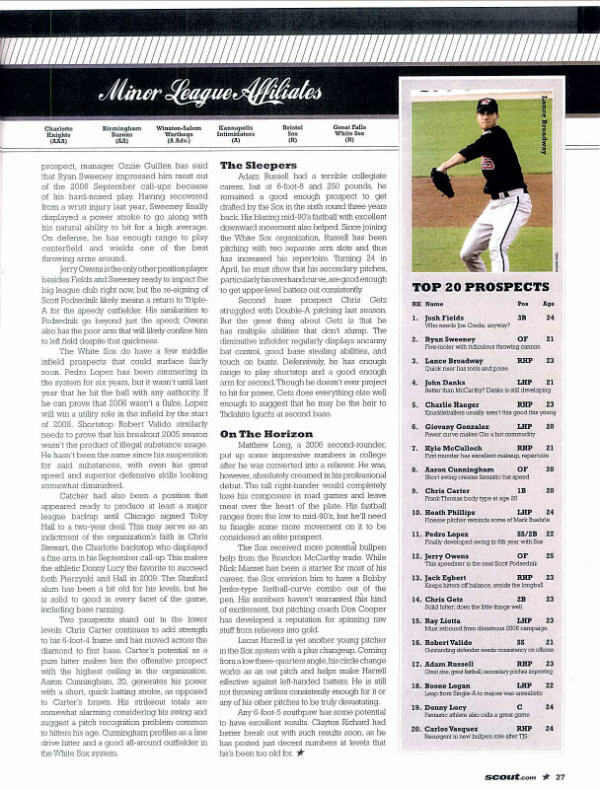 Although you could enjoy this book solely for it's enjoyable, well-written articles, The 2007 Hardball Times Baseball Annual has quickly become one of the most valued statistical references for anyone involved in baseball. 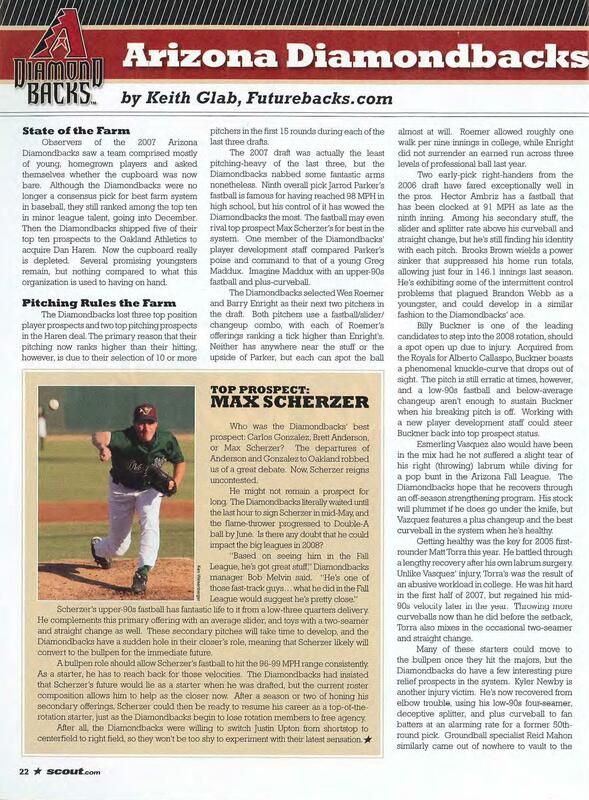 The History section contains articles on The Federal League, The Most Valuable Pitchers of All Time, The Best Outfield Arms of Our Time, and the most in-depth analysis of Tommy John Surgery ever compiled. The Analysis section provides expanded and revamped coverage of batted ball types and their run values, a statistical method for predicting a breakout season, and a definitive look at team and player Win Probability Added. Other statistics include Team Fielding Bible +/- rankings, pitches per at bat, defensive efficiency ratio, fielding independent pitching, win shares, batted ball statistics, and many more. 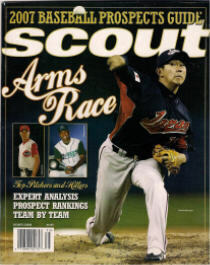 It also provides divisional reviews for 2006, the World Series review, team-by-team statistics, and the Hardball Times' trademark graphs. Peppered in among THT's usual witty and insightful contributers' articles are exclusive commentaries by Rob Neyer, John Dewan, and other guest writers. If you have an open mind and a love of statistics, this is the book for you. This highly sought-after book contains detailed breakthrough analysis of Major League baseball defense - by team and player. 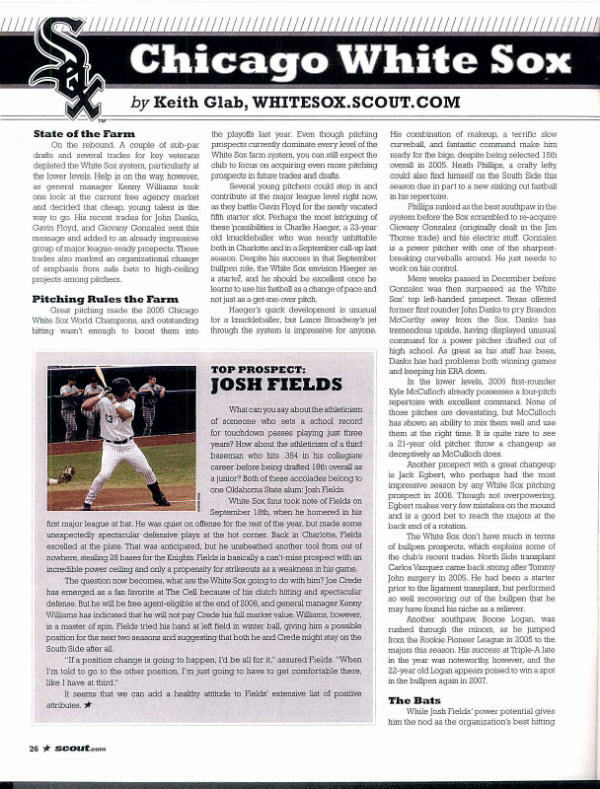 The Fielding Bible was written by John Dewan, owner of Baseball Info Solutions, who has provided this unique, revolutionary, observation-based defensive analysis exclusively to Major League teams for three years. This is the first time it is available to the public, and the only place to find these kinds of stats for the 2003-2005 seasons. Question about a title or want to pay with check or money order? Email purchases@baseballevolution.com.